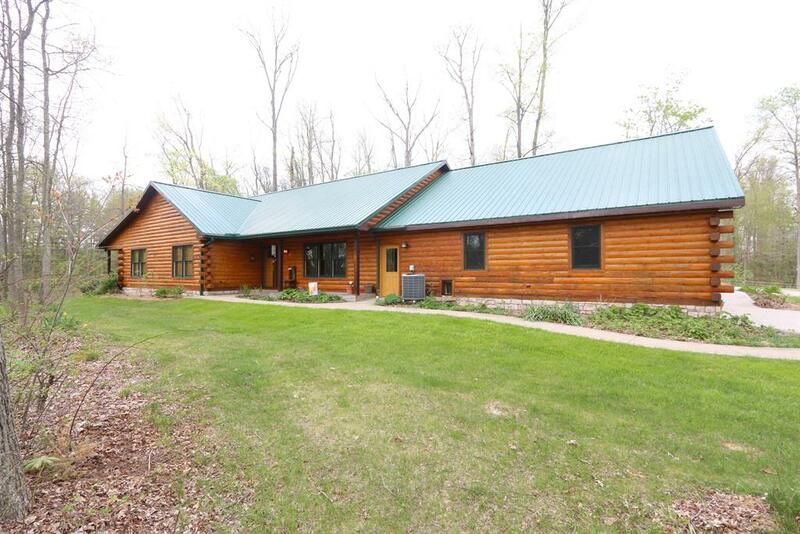 Gorgeous quality blt log sided home surrounded by wdd privacy, ovrlks pond w/fountain. Slate, tile, Pergo flrg & Nat'l wdwrk thru-out. 4-6 BRs or in-law suite. Top of the line thru-out! 2x6 constr. In-flr heat I home & 60x67 ft workshop & det gar powered by outside wd burning furn w/propane backup. Det bldg also insulated, w/wtr & elec. MUST SEE! NOTE: This property was sold on 6/26/2017 and is no longer available. The details listed below are believed accurate to the date of the sale and are subject to change.